A new generation of Israelis has begun to bridge the religious-secular divide, synthesizing Torah study and liberalism to create a new form of Israeli values. Regev Ben David met his wife, Sygall, under Israel’s desert sun. 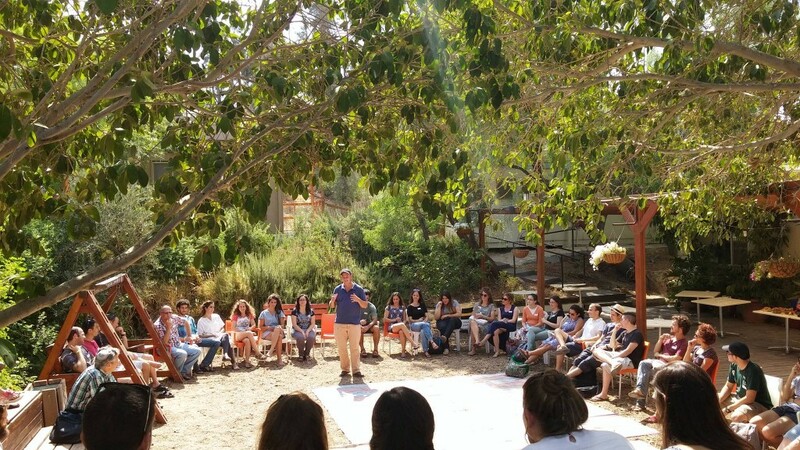 Though from an Israeli standpoint they came from different worlds, together they staffed a one-month intensive Jewish learning program for college and graduate students. While his wife had been raised in an Orthodox home and attended religious feminist schools, Ben David had not been. “I was raised a secular Zionist,” explained Ben David, who is now involved in advancing Jewish pluralism in Israel. “I had very basic Jewish studies—we maybe learned Bible and Hebrew literature” at primary school in Ramat Raziel, just outside of Jerusalem. “I never got Jewish philosophy, [Chasidic philosophy], or even Oral Torah—Talmud, Mishna…I wasn’t acquainted with it at all through my education.” Put differently, he explained, “I had a robust Israeli Zionist identity, [but] I was not a yiddishkeit type of Jew,” he said, using the Yiddish word for Jewishness. A product of secular Israel, Ben David is an unlikely Jewish innovator, and yet now he and his wife use their Jewish knowledge to enrich their ritual life—and that of their friends and neighbors. The two of them designed their own wedding ceremony, omitting the mentions of a husband’s ownership of his wife that occur in traditional Jewish weddings. They also designed a personalized circumcision service for their newborn son that still complied with Jewish ritual law. That’s when he found Midreshet Ein Prat, the institution where he later met his wife. Run by the philosopher and bestselling author Micah Goodman, Ein Prat is a pluralistic center of Jewish learning and key educational institution for the Jewish Renaissance, of which Ben David and his wife are a part. The Jewish Renaissance movement reconnected secular Israeli Jews with traditional Jewish texts and rituals and has given wave to a revitalized Israeli identity. The movement took root in Israeli society in the late 1980s, and slowly began expanding from there. Over the last 20 years, the Jewish Renaissance has managed to take a stronghold in Israeli society and push its presence into the political conversation, thanks in large part to Dr. Ruth Calderon, a member of Knesset from 2013-2015. There are currently over 300 pluralistic organizations focusing on social and religious liberalization in Israel, which speaks to the growth of the movement. Now in 2016, the Jewish Renaissance is at a tipping point. No longer a fringe movement exclusive to the Ashkenazi elite, it has permeated all elements of Israeli society. In 2015, the Jerusalem municipality allocated 17 percent of the overall Torah study budget to institutions dedicated to Jewish pluralism, and Ein Prat boasts an active alumni network of over 2,000, according to Avigayil Heimowitz, the program’s marketing director. Ben David represents a growing generation of Israelis whose formative years were influenced by pluralistic Jewish values for the first time. But this is only the beginning of the conversation for this flourishing Jewish renewal in Israel. According to Rabbi Donniel Hartman, president of the Hartman Institute, which is central to this renaissance, “Israelis feel Jewish—the Jewish renewal movement created that. The old secular Israel is gone,” he said, referring to the Israel of the previous two generations, where Zionist thinkers like Max Nordau and David Ben-Gurion emphasized labor and peoplehood, as opposed to religion. The current budding generation of young professionals like Ben David and his contemporaries are the first in Israeli history to have been raised in this new Israel, one where religion and liberalism go hand in hand. This new generation will influence education and politics, and it will look different than ever before in the country’s history. This phase of religious and social reform is unique by virtue of the fact that millennial Israelis were exposed to Jewish pluralism during their most formative years. These are individuals, like Ben David, who are entering the workforce and will soon hold seats in the political, economic, and social spheres of Israeli society. Merely by being who they are, living pluralistic Jewish lives, a new form of Israeliness is being created. The most visible starting point for the modern Jewish Renaissance in Israel is 1989, a year in which secular Jews began taking concrete steps to reclaim their Jewish identity by forming their own batei midrash (study halls). Alma was created in the heart of Tel Aviv, and the other, Elul, in Jerusalem. The first of their kind, these batei midrash were centers of Jewish learning where secular Israelis could study traditional texts without feeling pressured to alter their lifestyle. As opposed to studying in an Orthodox yeshiva where adherence to Jewish law is strictly enforced, the idea underlying places like Beit Midrash Elul was that secular Jews could engage with Jewish texts without changing who they were. The primary audience at Elul were secular Ashkenazi Jews, who for decades had been associated with the country’s most staunchly anti-religious views. Yair Sheleg, the director of the religion and state program at the Israel Democracy Institute who has written extensively about the modern Jewish renaissance, feels that social context is critical to understanding the movement’s appeal to secular Israelis. Describing 1980s secular Israeli society, Sheleg portrayed a generation lost at sea: “The old anchors of the Israeli identity—Zionism, socialism—were broken and there was a need for new anchors.” Particularly among the “old elite” of secular Ashkenazi Jews, Sheleg said, there was a widespread identity crisis and a search for new sources of meaning. Sheleg explained that many of these individuals were affiliated with struggling kibbutzim and aiming to substitute Judaism for what had previously been filled by a socialist spirit. While their grandparents’ generation had decisively rejected religious Judaism, these young Jews were captivated by individualism and began searching for something that would soon materialize as pluralistic centers of serious Jewish learning. With that, her spiritual quest began, but the only available institutions to fill her intellectual Jewish gap were strictly Orthodox. As a secular woman in search of a more substantive Judaism, “I was for them a project to be corrected,” Calderon recalled. After completing the army, she moved to Oranim, where there was already some infrastructure for what would later become their secular beit midrash. The exposure to what she calls “positive secularism,” an identity not based on being anti-religious but on the full embracing of humanistic values, provided her with a sense of spiritual fulfillment. Calderon was most taken by the mystique of the Talmud, describing her experience with the opaque text like “falling in love.” She broke barriers by receiving her Masters and PhD from the Talmud department of Hebrew University. Tired of being the lone secular woman in Jewish centers of learning, she helped create Beit Midrash Elul as the country’s first egalitarian beit midrash in 1989. This renewed interest in Judaism began encompassing far more than Talmud study and intellectual engagement with Jewish texts. And it did not remain limited to the secular elite. Sheleg explained that the trailblazing of the cultural elite was instrumental in giving the movement legitimacy in Israeli society, paving the way for a spiritual path that was accessible to more Israelis. Signs of the Jewish renaissance became conspicuous in mass culture, including in the country’s pop music. Sheleg is quick to point to Ehud Banai, whose music freely quotes from the Bible and other traditional Jewish texts. The Judean Desert is a beautiful place for Friday night prayers. Looking out over the desert at twilight, participants on Ein Prat programs like Ben David and his cohort gather each Friday night of their program to sing classical Kabbalat Shabbat liturgy and dance on a peak overlooking the outskirts of Jerusalem. Ein Prat has over 2,000 alumni, many of whom are active in organizing lectures and prayer groups throughout Israel through their alumni network. 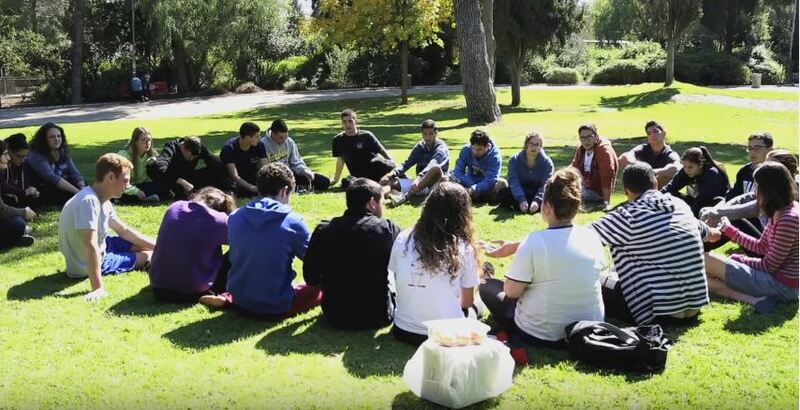 Their immersive 40-day Elul program, which spans the month leading up to the High Holidays culminating with Yom Kippur, takes place during the summer break from university and is advertised widely on Israeli campuses, drawing students from all backgrounds. As opposed to when Alma was founded 27 years ago, enrolling in a crash course in pluralistic Judaism is a now perfectly normal choice for mainstream millennial Israelis, raising far fewer eyebrows than it would have two decades ago. 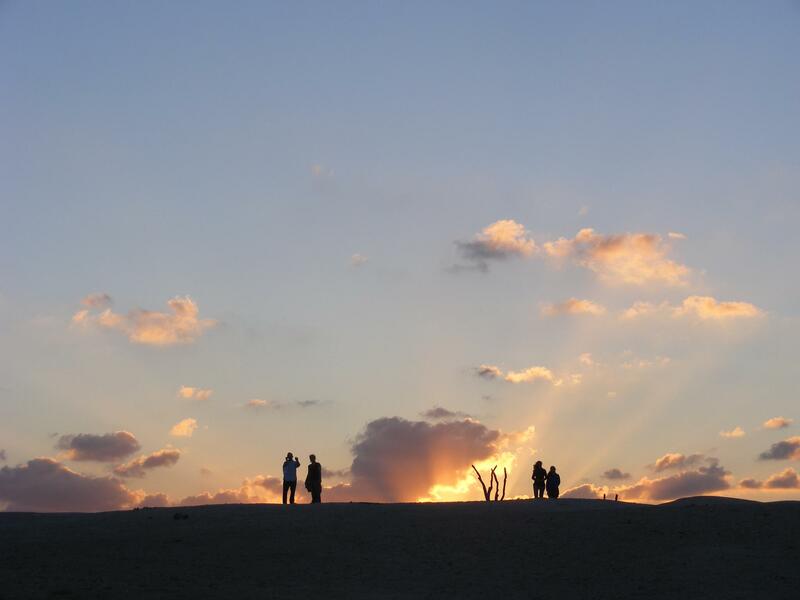 And it is these Israelis who populate the Judean Desert on Friday nights to welcome the Sabbath. What marks these services as particularly unique is that no two individuals are alike: while some may don traditional Jewish garb, a kippah for men or knee length skirt for women, and hold a traditional prayer book, another may be barefoot with a shaved head, and, upon completion of the Friday night programming, may even return to his or her room and cozy up with a laptop. This is the accomplishment of the Jewish Renaissance: Creating a strong sense of Jewish ritual and a reformed sense of Jewish identity, outside the confines of traditional Jewish practice. While it requires a substantive knowledge and awareness of Jewish texts, it does not require adherence to Jewish law. The Ein Prat revolution is about promoting education and dialogue, rather than coercion and obligation, when it comes to forming an individualized Jewish identity in contemporary Israel. The popularization of the Jewish Renaissance and its ability to affect change across all spheres of Israeli society has become especially apparent in the political realm. Hanan Rubin, a 32-year-old member of the Jerusalem city council, represents the social and political movement Hitorerut B’Yerushalayim (Awakening in Jerusalem), whose influence in the city is growing. 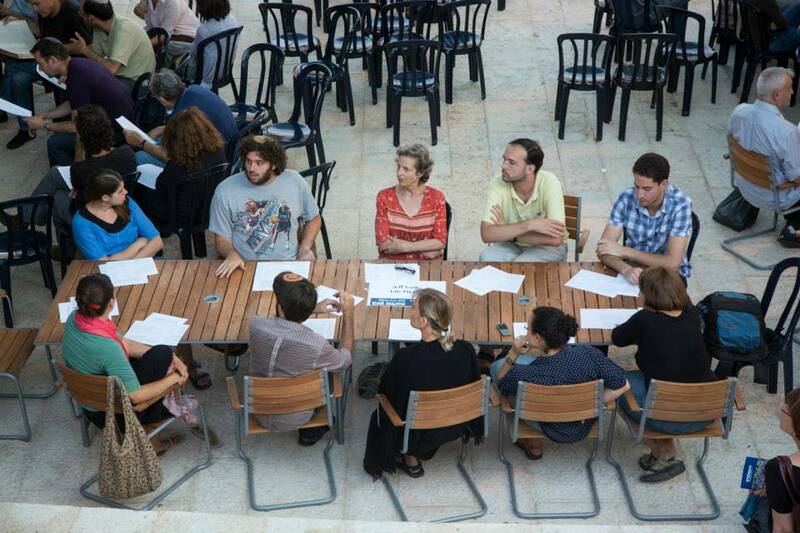 Closely aligned with the values of the Jewish Renaissance, Hitorerut campaigned successfully on a pluralistic platform which encouraged young secular Israelis to settle down in the nation’s capital. The Jewish Renaissance’s ability to make inroads in the political world is closely connected to the success of Ruth Calderon. 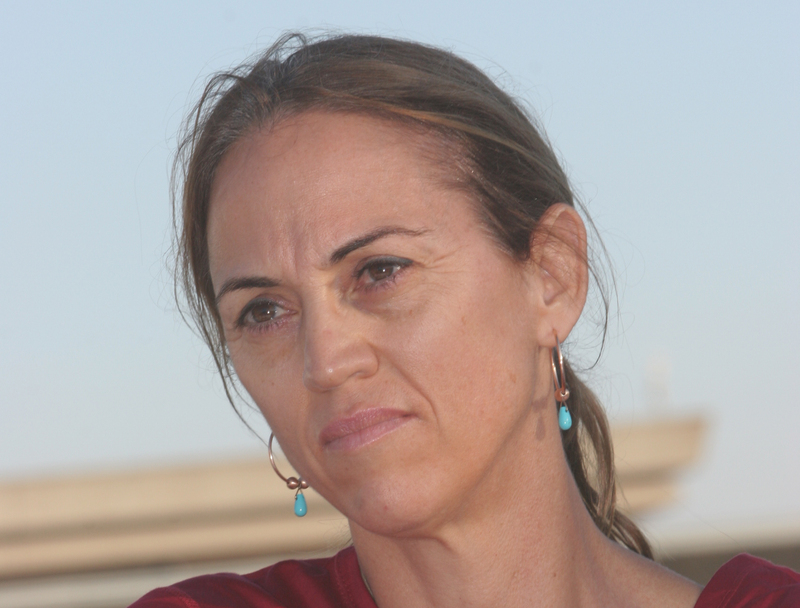 Elected to the Knesset in 2013 with the Yesh Atid party, her opening speech to the parliament went viral on YouTube for its extensive quoting from the Talmud. Viewed nearly 250,000 times on YouTube, Calderon’s call for a strengthened Israeli-Jewish identity struck a chord among Israelis across many sectors. Yesh Atid, which was the second-largest party in the Knesset three years ago, also featured Shai Piron, a prominent religious-Zionist rabbi, and Dov Lipman, a moderate ultra-Orthodox rabbi born in Washington D.C. The party has made a clear statement that the classic schism between religious and secular identity in Israel had lost relevance. The birth of a new breed of Israeli, one who is proudly secular but also well versed in Jewish texts and traditions, has led to revitalized sense of religious empowerment. If the generation of Ben David’s parents was dependent on the local Orthodox rabbi affiliated with the Chief Rabbinate for rituals such as weddings, Ben David himself has no need for such reliance. When he and Sygall designed their wedding ceremony, they chose to have a wedding that respected Jewish tradition, but that was also in line with their egalitarian values. Their education in Jewish texts allows wiggle room for more creativity “I feel much more confident in my Jewish identity today, [so] I also feel comfortable to shake off certain conventions,” he explained. For all of the inroads that this new wave of pluralism is making across Israeli society, the Jewish Renaissance is still fighting an uphill battle. According to Hartman, who is engaged in all elements of pluralistic development, many Israelis looking for Jewish enrichment still turn towards Right-wing Orthodoxy to find answers. Rather than embracing a liberal and pluralistic Judaism in line with their mainstream secular values, which emphasizes human rights and gender equality for example, these individuals trade one extreme for the other.